An HbA1C test measures a person’s average blood sugar level over the past two or three months. An HbA1C of 6.5 percent indicates diabetes.But according to new recommendations of American College of Physicians (ACP), there is no proof of benefit for targets of HbA1c below 7%.Therefore in an evidence-based guidance statement, ACP has suggested that HbA1c between 7% & 8% was okay for most T2 DM patients. This implies that most patients with type 2 diabetes should be treated to achieve an A1C between 7 percent and 8 percent rather than 6.5 percent to 7 percent published todayThe updated guidance has been published online in Annals of Internal Medicine. American college of physician’s issues guidelines regularly for physicians working in the USA. This time, focus on control of diabetes [Glycosylated Haemoglobin (HbA1C) Targets], they have issued four statements, after peer review of all trials and current guidelines from American Associations. In this commentary we list statements from ACP, followed by short critical analysis, especially pertaining to Indian patients. The ACP guidance includes four statements. Analysis: This makes complete sense and is in alignment with all previous guidelines. In India; we, the physicians, often impose decisions on the patients, while proper counseling, including that of cost, should be done before deciding treatment. Analysis: It is good to be aggressive and bring down the HbA1C level in young patients to about 6.5% so that there is no likelihood of subsequent long-term complications due to initial ‘bad glycemic legacy’. This is particularly important for patients who are less than 40 years of age and those recently diagnosed. Once control is achieved, the subsequent HbA1C level should be less than 7%. Same cannot be said about those who are elderly, or suffering from multiple co-morbidities, or have limited understanding, support and help (A scenario often seen in India). In such cases, statement 3 should be applicable and oral anti-hyperglycemic drugs should be de-intensified. Particularly those drugs having the high propensity for causing hypoglycemia (Sulphonylureas)should be minimized or stopped. It must be stressed that ACP guidelines did do not take into account newer diabetes drugs that have a low risk of hypoglycemia and yet decrease heart attacks and mortality. Analysis; A good and sensible statement. But, by individualizing the therapy, this practice is being done by most clinicians globally. There is, however, one difference here as compared to previous guidelines; no target HbA1C level has been assigned. Clinicians usually work on targets, and such level is easy to keep such in mind. Target here could be a range, much higher than usual; say 8-9%. Such glycemic average will not cause much of symptoms and avoid the primary danger of hypoglycemia. This should not only be followed by physicians; and all allied specialists (cardiologists, nephrologists and neurologists etc.) who often see patients with diabetes. 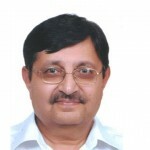 Dr. Anoop Misra is MBBS, MD (Diabetology) and Chairman at Fortis CDOC Hospital for Diabetes & Allied Sciences.Also Director National Diabetes Obesity and Cholesterol Foundation.Recipient of Padmashree Award by President of India. 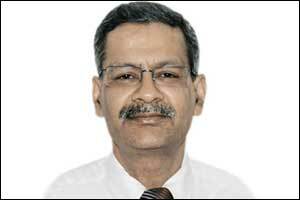 He is a member Editorial Board, Diabetology at Specialty Medical Dialogues. I follow a simple rule of thumb – young patient should have a tight control for better glycemic legacy whereas with elderly we can be lenient to avoid hypoglycemia.